The Chief Minister announced a compensation of Rs 10 lakh for the families of the people, who died after a building collapsed earlier on Tuesday. 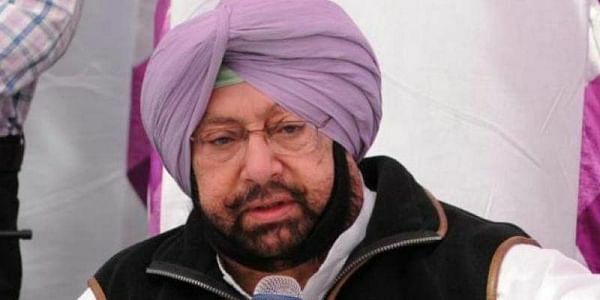 LUDHIANA: Punjab Chief Minister Captain Amarinder Singh on Tuesday announced a compensation of Rs 10 lakh for the families of the people, who died after a building collapsed here on Monday. “It is an unfortunate incident. I hope firemen, stuck in debris, come out alive. We have formed commission to probe the incident,” the chief minister told the media. The chief minister also announced jobs for next of kin of deceased firemen. Ludhiana District Commissioner Pradeep told ANI that till now 10 bodies have been recovered from the debris of a five-storey building, which collapsed after a fire broke out near Sufia Chowk on Monday. A National Disaster Response Force (NDRF) team is still carrying out the search and rescue operations at the spot.